Gond ka Tera is a magical gum having a number of benefits. In Punjab villagers use this on regular basis. I have learned this Halwa from my Maid. She belongs to a Village Shakardra, adjacent to Attock City. 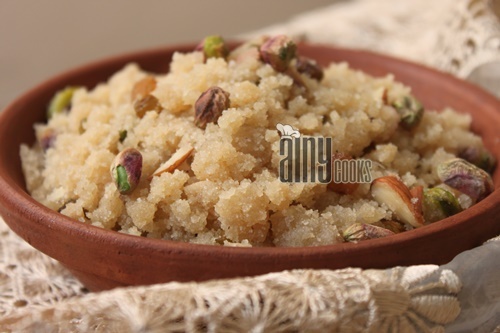 In winter season make this Gond Halwa for your family, specially aged persons can eat this for bones. Gond is use in Panjiri too which is a special treat of winter but for women after pregnancy this Gond ka tera is very helpful in gaining strength of the body and bones. Fry gond in ghee (2 tbsp.) It will pop and become crispy. Place on paper towel and let it cool. Grind it and set aside. 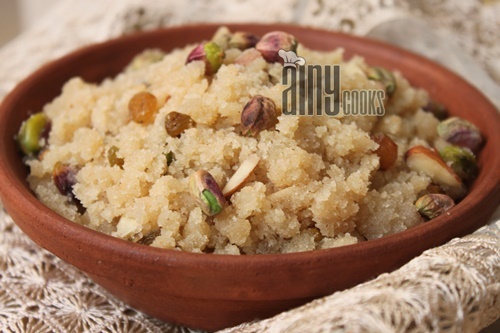 In ghee add semolina/ Atta and cardamom, fry till light golden color appear. Now add all crushed nuts and sugar. Mix well. Add gond powder and mix well. Keep on mixing till ghee separates. Add nuts and serve hot. You can store in a air tight container and keep in refrigerator. 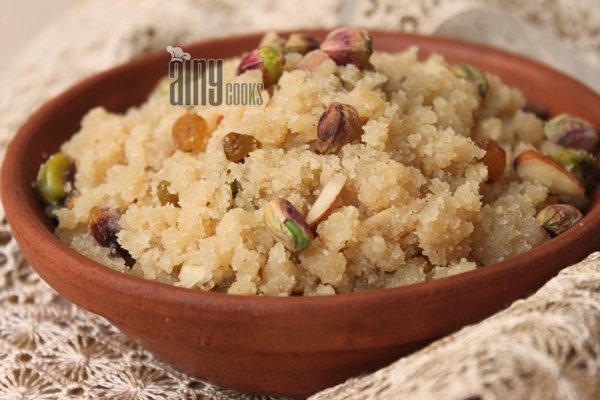 Eat with a cup of tea and enjoy delicious aromatic halwa in winters.